Our history is a distinctive story of consistent growth and development. From the time Claude See founded Impact Sales, Inc. in 1994 to the present day, we have continued to add breadth and depth to our services. 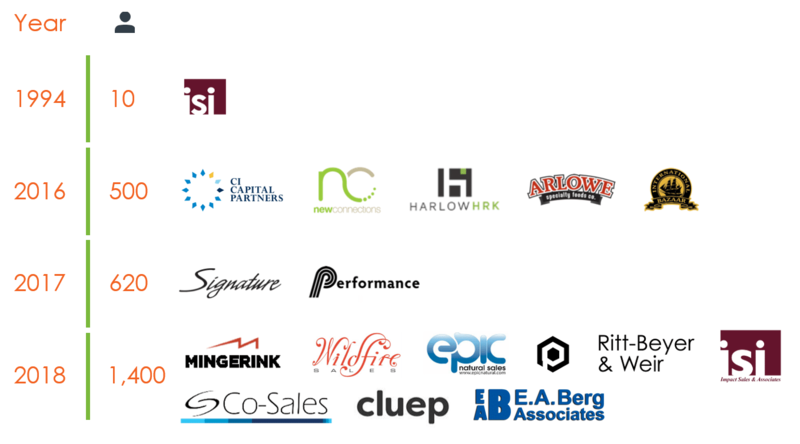 Throughout the years Impact Group has partnered with and acquired companies that have not only enabled us to expand what we offer our clients but that also share our values and our absolute dedication to making all our clients’ products successful.